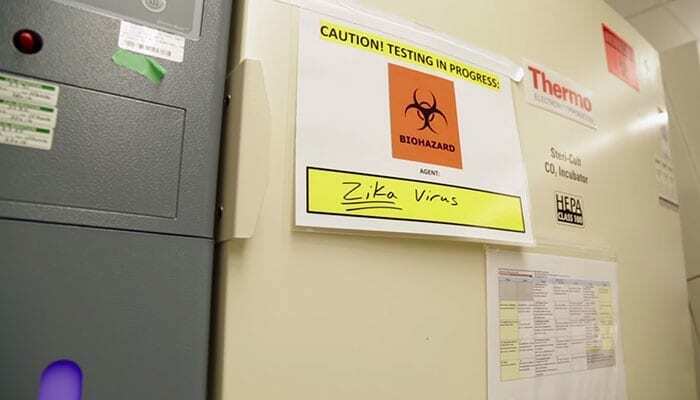 When the Zika virus emerged as a global threat, the Walter Reed Army Institute of Research (WRAIR) drew on its deep expertise in protecting soldiers against malaria, Ebola and other flaviviruses, to develop the ZPIV vaccine in just six months. The vaccine is being tested at WRAIR’s Clinical Trial Center in Silver Spring, Maryland. WRAIR’s inactivated flavivirus vaccine platform was the same technology the institute used to create its Japanese encephalitis vaccine, licensed in 2009. The National Institute of Allergy and Infectious Diseases, or NIAID, part of the National Institutes of Health, helped identify the viral strain used in the ZPIV vaccine, supported the preclinical safety testing and clinical trials. The Pilot Bioproduction Facility at WRAIR manufactured the ZPIV vaccine being used in Phase 1 clinical studies, and the Army recently signed a cooperative research and development agreement to transfer the ZPIV technology to Sanofi Pasteur to explore larger scale manufacturing and advanced development. BARDA recently awarded a six-year contract to Sanofi Pasteur to further develop this vaccine to licensure.